2016 saw a major step toward Vladimir Putin’s vision of the world – it remains to be seen if the United States and Europe will remain committed to challenging this vision, or will seek to accommodate it. This year marked the 25th anniversary of the collapse of the Soviet Union. The celebrations were expected to cover well-trodden territory: the triumph of democracy over communism; the emergence of Europe as a single market with open borders; and Russia’s loss of great power status. Yet, none of the above narratives came true; instead, 2016 might well be remembered as the year that the post-Cold War consensus fell apart. And no one is more responsible for this development than Vladimir Putin. Putin’s accomplishment is even more extraordinary in that he achieved major foreign policy successes at a time of a severe domestic weakness. Russia has not even begun to recover from the 2015 collapse in the price of oil and accompanying two-year recession. The economy remains Putin’s Achilles heel and may yet defeat Russia’s attempt to return to the First Division of global powers. His domestic popularity, however, remains high and he has made sure that no political opposition exists to challenge his rule. Thus, Putin retains a free hand to chase his foreign policy objectives. He has pursued high risk, high reward strategies, particularly in the Middle East, but has also enjoyed some unexpected good fortune, in Brexit and the election of Donald Trump. So, 2016 was a breakthrough year for Putin’s foreign policy. To list the highlights, he has changed the facts on the ground in Syria so that it is the rebels, and not President Bashar Assad, who are on the ropes. Putin achieved this result through an aggressive bombing campaign that brought international condemnation but no real practical opposition. Admittedly, Putin does not have an exit strategy for Syria, since negotiations on a political settlement remain stalled. Nevertheless, it is likely any solution now goes through Moscow, and that can only be attributed to Putin’s personal resolve and intervention. Putin also has benefited from the growing divisions within the European Union. He does not like dealing with the EU on a one-on-one level; Russia always is the weaker party in such exchanges because of the EU’s economic strength and superiority in absolute numbers. But if Putin can interact with each member state on a bilateral basis – as opposed to a unified bloc – he can play EU countries against each other, thereby enhancing Russia’s overall strategic position. Likewise, developments in Ukraine can only encourage Putin in this regard. The Ukrainian crisis initially symbolized the EU’s resolve; that former Soviet republics still aspired to join Europe and uphold its values of free trade and human rights. Three years later, however, the EU is struggling to maintain a united front in response to Russia’s aggression in Ukraine. Every six months, the EU requires unanimity to roll over its economic sanctions against Russia, and every six months the blocks resolve is thoroughly tested. Putin did not defeat the sanctions in 2016, but he nevertheless saw the EU further fracture, giving him hope that Russia may be free of sanctions in 2017 without having to make any major concessions in return. Putin also amplified Russia’s global voice in 2016 through its use of propaganda, misinformation and new technologies. The apparent hacking of the Democratic Party emails, and subsequent release via WikiLeaks, serve as a warning that the cybersecurity space represents a new front in Russia’s confrontation with the West. 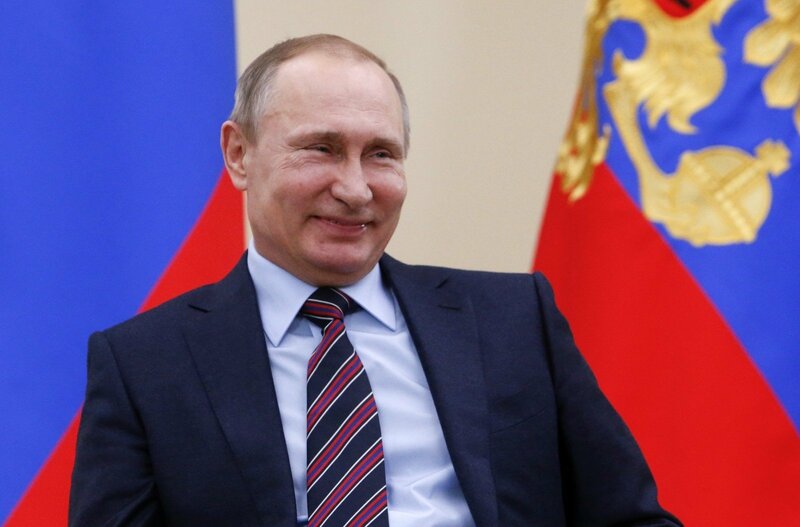 Finally, Putin successfully tapped into growing resentments and anxieties around the world. His pursuit of economic protectionism resonated in several countries, most surprisingly the U.S. Moreover, his brand of authoritarianism – which feeds into various nationalist and populist movements – has enjoyed mounting international appeal, and even Russia’s strongest opponents, such as Poland, have incorporated Putin’s illiberal ideas into their own governing philosophies. But while Putin’s foreign policy enjoyed considerable success in 2016, he did not actually break the longstanding U.S.-European alliance. Sanctions stayed in place, NATO was revitalized, and free-trade negotiations are continuing. Until Nov. 8, it was assumed that this united front would hold for the foreseeable future, but with the election of Donald Trump all bets are off. We now must wait and see if Trump’s open admiration for Putin’s leadership skills translates into a grand bargain between Russia and the United States, with the possible official recognition of a Russian “sphere of influence” on the line. Much will depend on how Trump implements his campaign promises, and whether a skeptical Republican Party goes along with a rapprochement between the two countries. The year 2016 still stands out as a turning point in the post-Cold War world. The world no longer appears to be moving to democracy, free markets, and open borders. Instead, countries are looking inward and asserting nationalist agendas that are hostile to the ideals expressed a quarter century ago in the aftermath the Soviet Union’s collapse. Speaking plainly, 2016 witnessed a major step toward Vladimir Putin’s vision of the world. The coming year will test to what extent the United States and its European allies remain committed to challenging this vision, or alternatively seek to accommodate it. *The views expressed in this article do not necessarily reflect those of the Woodrow Wilson International Centre for Scholars. Lithuanian view: What to expect from Russia in 2017?